Vicky Phelan, the Limerick mother who exposed the CervicalCheck controversy was left 'stunned' and 'gobsmacked' when Meghan Markle told her she had been following her journey. Phelan was one of the 300 guests attending the royal garden party at the British Ambassador's Glencairn residence. "Meghan said she knew who I was and that she had been following my story. I thought 'Oh my god that is amazing'. That was a bonus. 10/07/18. NO FEE. NO REPRO FEE. JULIEN BEHAL PHOTOGRAPHY. Picture shows H.R.H. The Duke of Sussex and H.R.H. The Duchess of Sussex at the Government Buildings, Merrion Street with Mr. Leo Varadkar T.D. An Taoiseach. JULIEN BEHAL PHOTOGRAPHY. NO FEE. 10/07/18. NO FEE. NO REPRO FEE. JULIEN BEHAL PHOTOGRAPHY. Picture shows H.R.H. 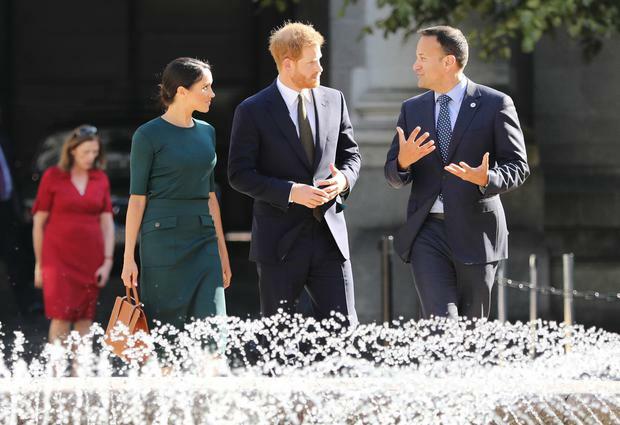 The Duke of Sussex at the Government Buildings, Merrion Street with Mr. Leo Varadkar T.D. An Taoiseach. JULIEN BEHAL PHOTOGRAPHY. NO FEE. Guests were assembled in “pods” on the lawn of the ambassador’s residence and the royal couple circulated and spoke to groups of people. Mrs Phelan said the couple also discussed mental health. "The pod I was in was all about health and well being," she said. Mrs Phelan said she had used the party as an opportunity to network to keep awareness about the scandal. During his speech Prince Harry spoke of the 'unique relationship' between England and Ireland. Guests from the arts, culture and charity communities attended the event. 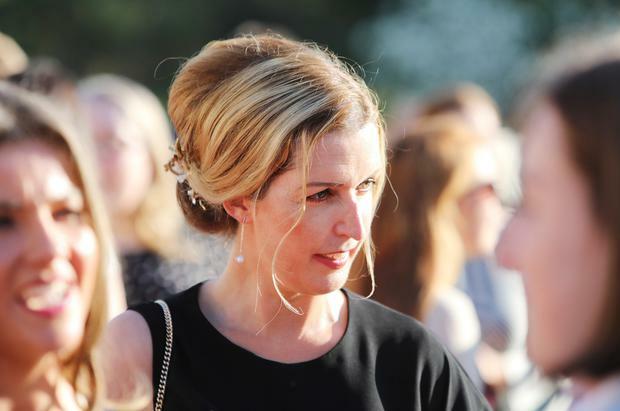 Among those on the guest list were Simon Harris, Tanaiste Simon Coveney, Brian O'Driscoll and Amy Huberman.